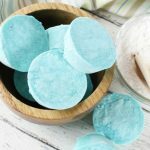 Love the discontinued Vicks shower melts? 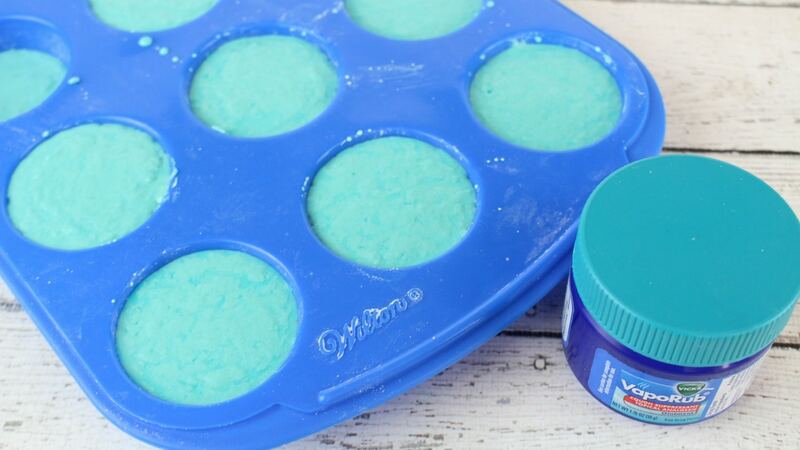 Make your own homemade Vicks shower tablets! 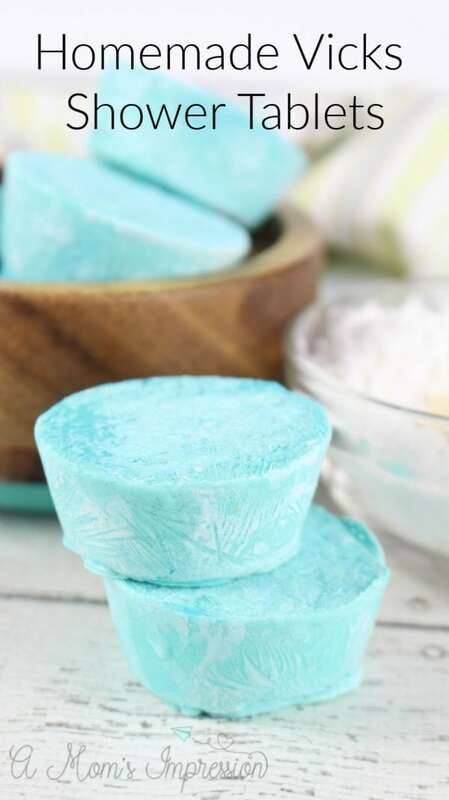 This recipe is without citric acid and uses vapor rub giving your shower the eucalyptus smell that is perfect for those of us who suffer from allergies or sinus pressure. 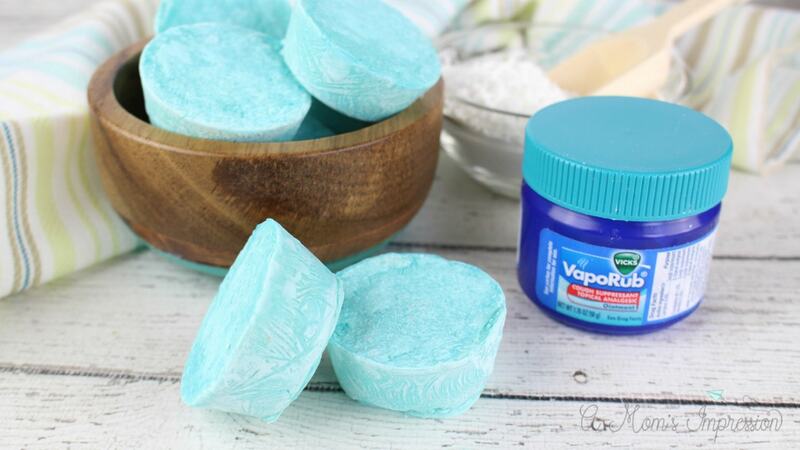 This Homemade Vicks Shower Tablet tutorial is NOT sponsored by Vicks and contains affiliate links. Are you wondering why were shower soothers discontinued? Me too! I used those things all the time. I loved putting in a shower soother when I took my morning shower. It filled the bathroom with eucaplytus and it cleared out my sinuses when I had allergies or a cold. I almost cried when they stopped making them. Then I thought, why not make homemade Vicks shower tablets for myself. 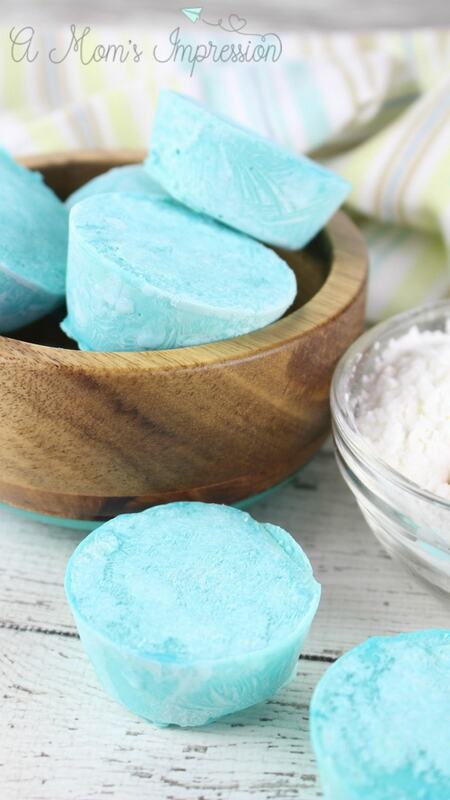 Homemade shower soothers are easier than you might think to make at home. There are a bunch of different ways and different ingredients you can make them with. I have made orange shower soothers, pepermint, and lavendar shower melts, each with their own purpose. 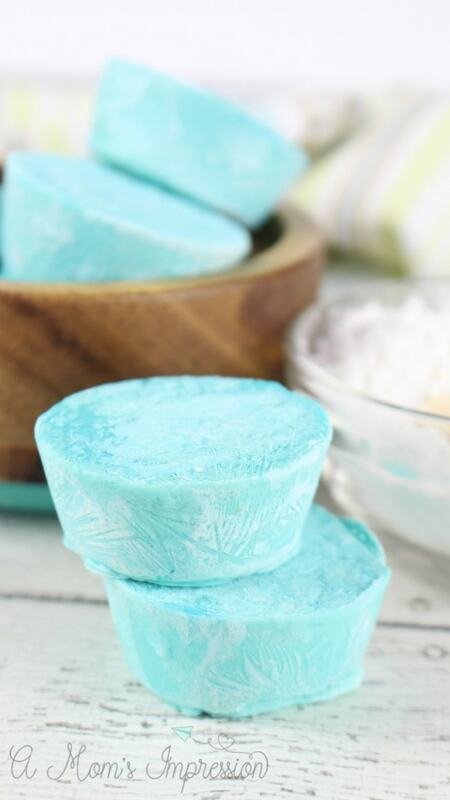 So far these homemade Vicks shower tablets are my personal favorite. We always make sure we have these and our homemade cough drops on hand for the cold and flu season. 1. 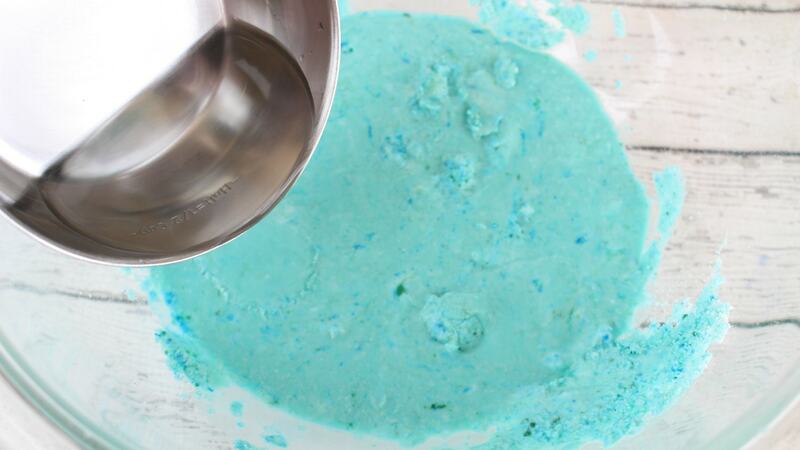 In a medium mixing bowl, add the cornstarch, vapor rub and 4 Tablespoons of water. Stir well to mix the ingredients. 2. 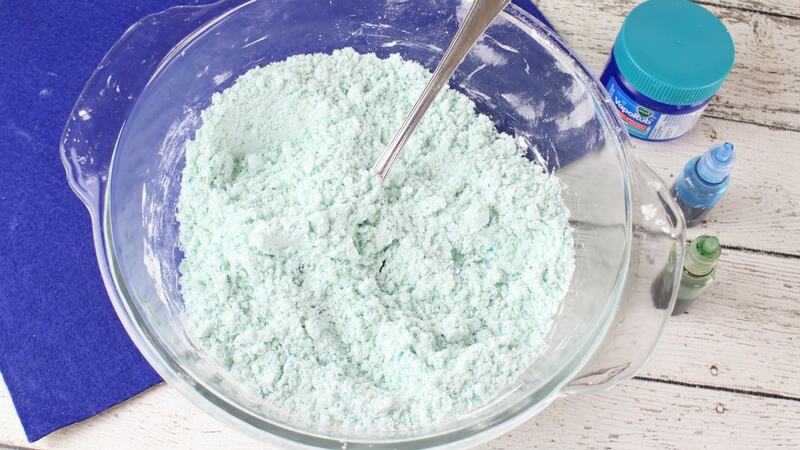 Drizzle 3-4 drops of the blue and the green soap colorants into the mixture and stir until you achieve your desired color. 3. If the mixture still seems too dry, add more water as needed (up to 6 Tablespoons) until a thick paste forms. 4. Transfer the vapor rub paste into your silicone molds, filling up to the top of each mold. 5. Freeze for 2 hours to allow the shower steamers to harden. Place one vapor rub melt on your shower floor and allow the hot water to run over it. This will activate the vapors from the Vicks rub to cause a steam in your shower that will help ease a cold or congestion. ENJOY! * Please note that if you do not have a bath mat in your shower, the floor of the shower could become slippery when in use. Please use caution. 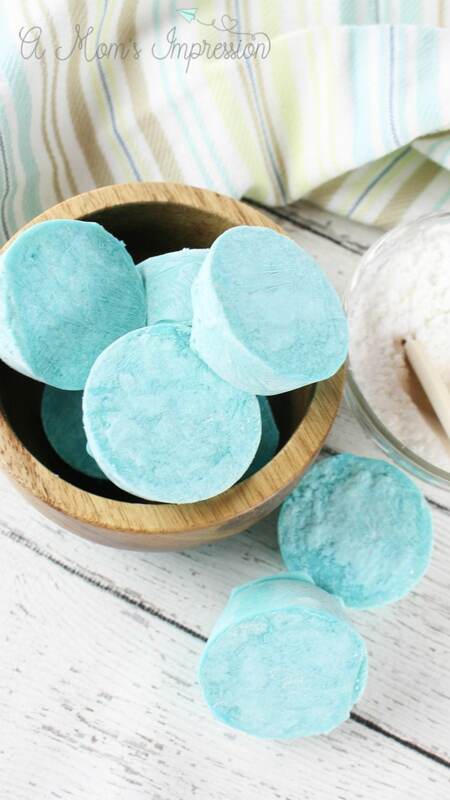 If you love bath bombs, be sure to try out our homemade lemon bath bombs. They smell so fresh and are perfect for a pick me up! 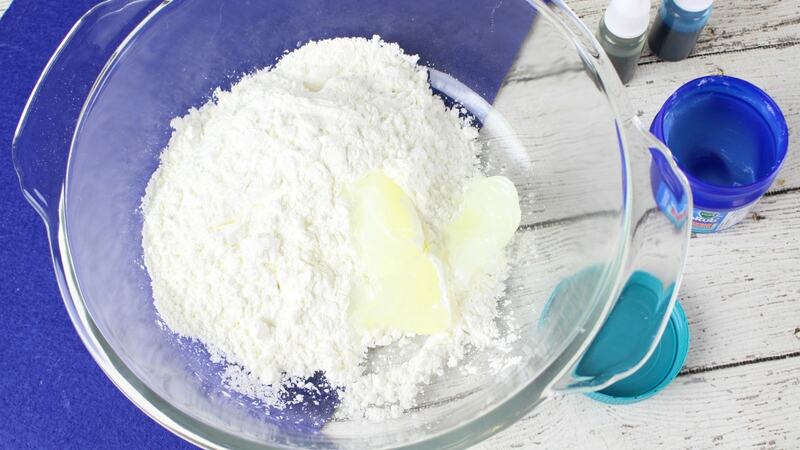 In a medium mixing bowl, add the cornstarch, vapor rub and 4 Tablespoons of water. Stir well to mix the ingredients. If the mixture still seems too dry, add more water as needed (up to 6 Tablespoons) until a thick paste forms. 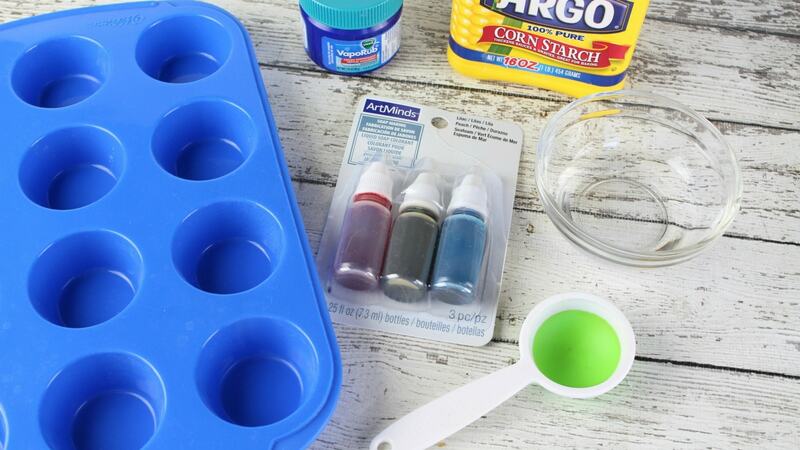 Drizzle 3-4 drops of the blue and the green soap colorants into the mixture and stir until you achieve your desired color. Transfer the vapor rub paste into your silicone molds, filling up to the top of each mold. Freeze for 2 hours to allow the shower steamers to harden. *Once frozen, transfer to an airtight container or plastic Ziploc bag. I keep mine in the freezer until ready to use. HOW TO USE Place one vapor rub melt on your shower floor and allow the hot water to run over it. 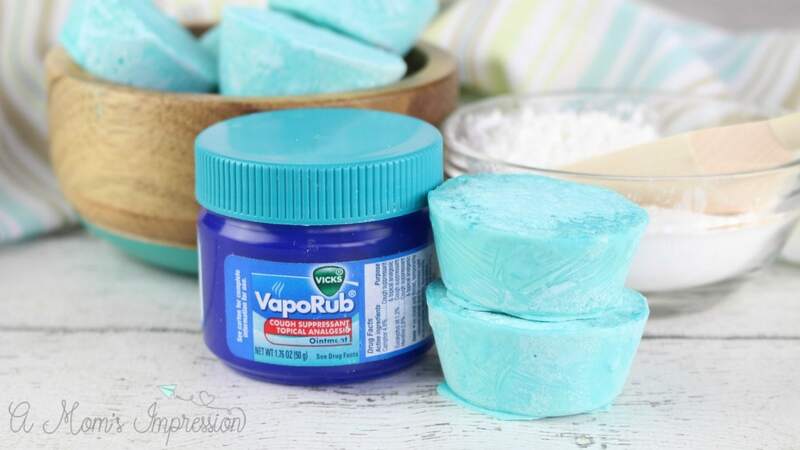 This will activate the vapors from the Vicks rub to cause a steam in your shower that will help ease a cold or congestion. ENJOY! Are these safe for kids to you? I wouldn’t use them in the bath, but in the shower, I personally would use them with my older kids. My vics vapor disc started melting after i took them out of the freezer any idea why this might have happened? Please help i really need this to work for me as my son is always sick poor baby was a premature baby and is now 24 but stays sick with bronchitis all thru the year this will definitely help! Thank you in advance for answer my plea! It sounds like there is too much moisture in the disks. Next time try adding more cornstarch. Do you have a lot of humidity where you live? Are these bombs safe for wells and septic systems? We live in the country and worry about clogging up the systems…..
Also, they NEED to be frozen, it’s not really optional they are too mooshy to store otherwise. I’m sorry you had this experience. It is a good thing to add that the floor of your shower might get a little slippery from the Vicks and to be extra careful, I will add this to the post. Thank you for this feedback. Whenever I make these I add a few drops of eucalyptus to make it stronger because we have a large bathroom. I use the vicks for babies because it is cheaper and all natural (plus safer for my daughter). I put them in a little dish near the drain so they don’t make the shower slippery. I do not add food coloring and they work great. Thank you, these are great suggestions! Can’t wait to make Vicks Vapor melts…. Plus, to see you other great posts!! No, there are soap coloring dyes. You can also leave this out. Since they have to be frozen do you think they might travel well? I want to gift these to my boyfriend but we live in different states. I’d have to ship them to him. Unfortunately, they probably wouldn’t travel well.